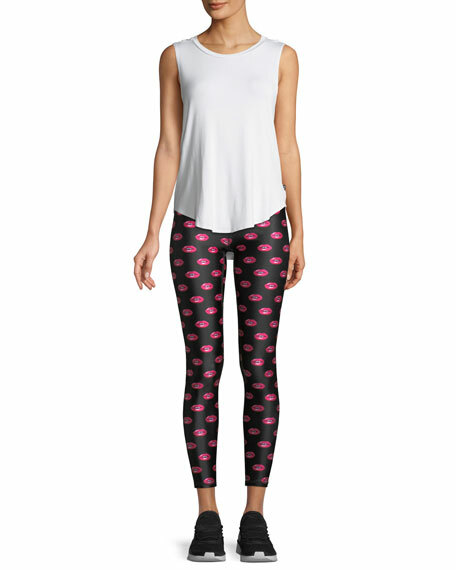 Terez "Lip Lock" printed performance leggings. Moisture wicking, quick drying fabric. For in-store inquiries, use sku #2653049.